Easily dispense and apply to any clean, dry surface. Heavy-duty polyester withstands harsh plant conditions and outdoor use. 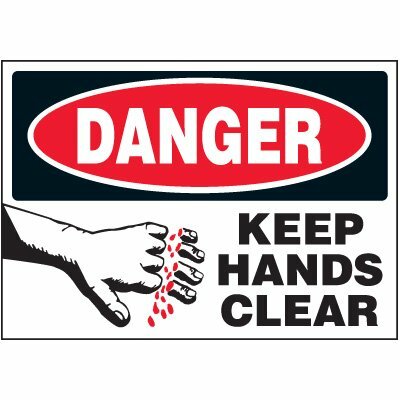 Thermal-transfer printed; 3-1/2"h x 5"w.
Label reads: DANGER KEEP HANDS CLEAR. Choose 50, 100, or 250 labels per roll.